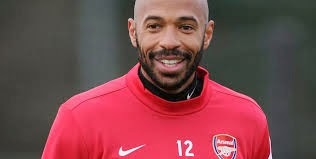 Thierry Henry has taken up a coaching role within the Arsenal academy. Henry spent eight at Arsenal before leaving for Barcelona but returned to the Emirates on a short-term loan deal in 2012 and manager Arsene Wenger recently suggested that he would return to the club in the future. Having announced his retirement at the end of last year, Henry has taken up a coaching role with the club’s academy with a view to earning his coaching badges, and Wenger believes he will benefit the young players. “Thierry Henry is making his first steps as a coach,” Wenger told reporters on Friday.